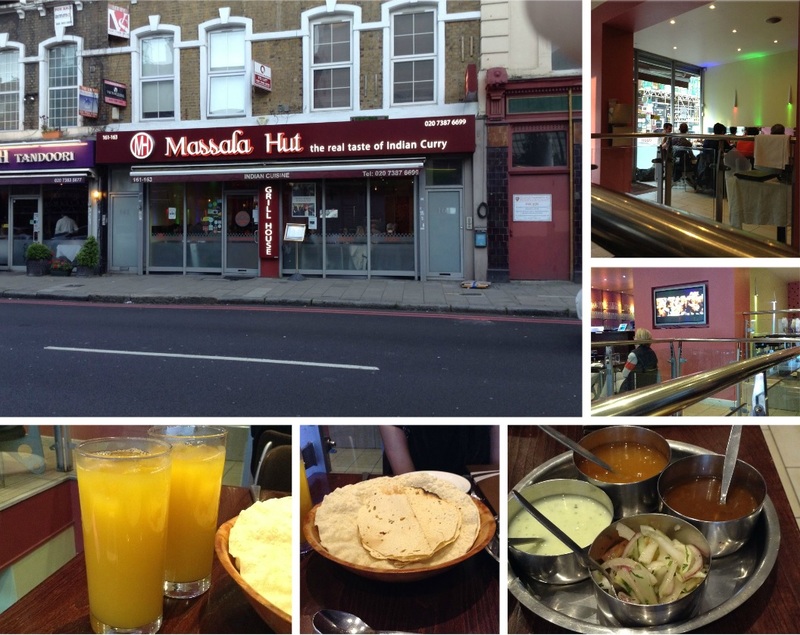 Massala Hut, a modern Indian restaurant located in central London close to Euston and Warren Street. It is situated on a quiet street in a commuter’s area and predominantly positioned so that it’s convenient for corporate and business lunches and socialising after work. Set on two levels the restaurant is furnished in a contemporary style. The main seating is on street level and the downstairs area is mainly hired out for events, weddings and parties. The restaurant was moderately busy on Friday evening when we visited but we were greeted and seated immediately. The menu was vast with lots of variety of the various regional dishes suitable for both vegetarian and non vegetarian too. However although there were lots of vegetarian starters and vegetarian side dishes, the choice of vegetarian main dishes was limited. This did not cause a problem as the waiters said that any vegetarian side dishes could be made as a main course. We munched on fried and roasted poppadum’s with a selection of condiments and sipped drinks while our starters of chilli paneer, onion bhajis and vegetable samosas were being prepared. We chose not to consume alcohol although there was a fully stocked bar. The restaurant serves halal meat and can also cater for people who want gluten free or have nut allergies which is an added bonus. The starters arrived fairly quickly, they were individual sized portions and well presented. 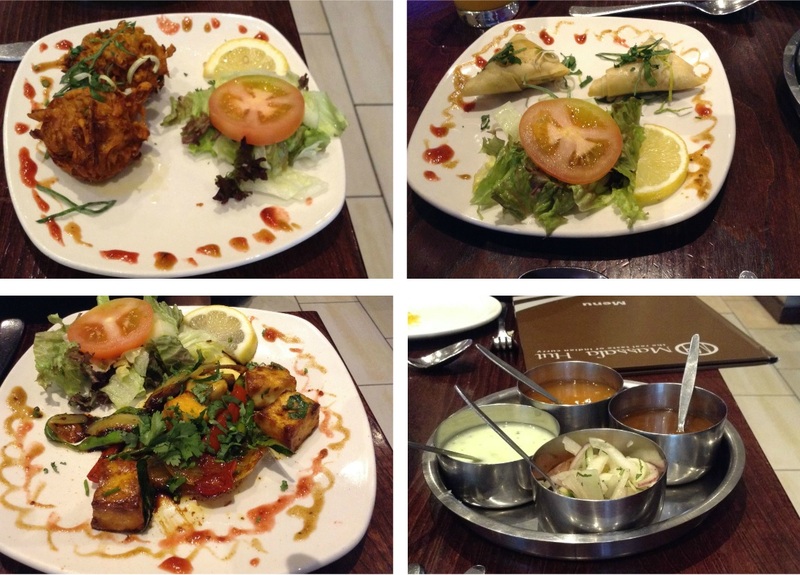 All three were really delicious; we relished them with pleasure while enjoying some Indian music playing in the background. 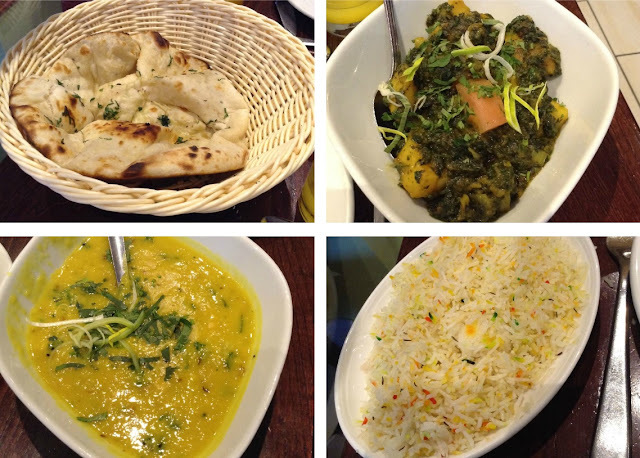 For the main course we selected the saag aloo; a delicious potato and spinach curry, tarka dhal which is a blend of lentils tempered with ginger, garlic and spices, all were served with pilaf rice and garlic nan which was super fluffy and beautifully cooked. The portion sizes were generous and the food was piping hot. We enjoyed the main course too, all the dishes were well cooked, they were a little on the mild side for the Asian taste and we think the taste is catered keeping in mind a western palate. 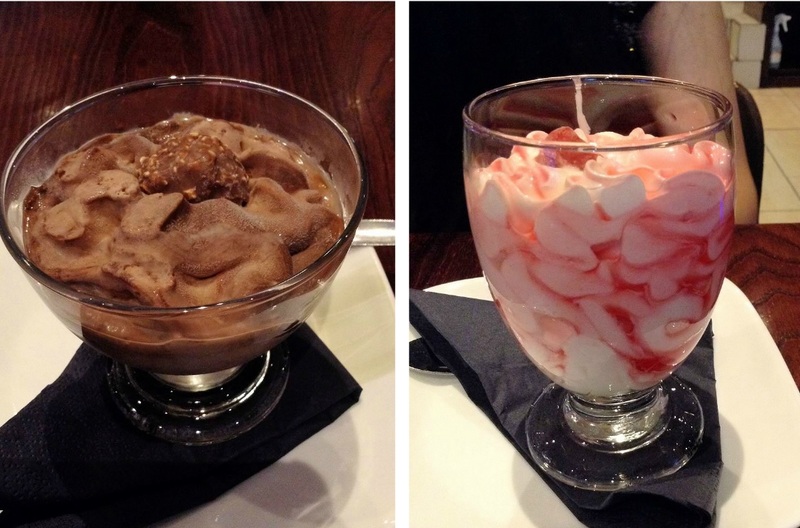 The dessert menu had some delightful desserts and we were tempted to order the ferrero rocher icecream and the strawberry sundae, both were delectable and completed our meal wonderfully. Our dining experience at Massala hut was enjoyable, the staff were helpful next time and friendly and very attentive. We would most certainly visit again and take the opportunity to sample some different dishes on the menu. We were guests of Massala hut and would like to thank them for their generous hospitality. All the views and opinions expressed in this post are of our experience and honest. Sounds like an absolutely fabulous place! I usually have Saag Aloo as a side dish, but I think thats the way my local indian does it! Those deserts look heavenly!